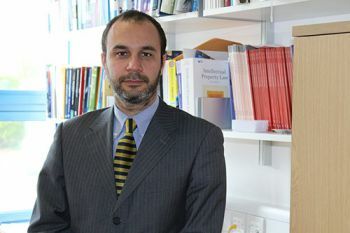 Senior Lecturer in The City Law School, Dr Enrico Bonadio, comments on the recent court battle involving the work of the legendary street artist. 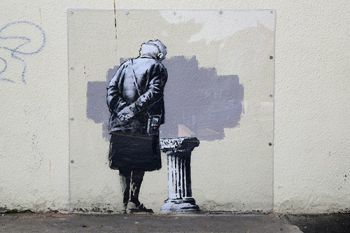 A few weeks ago the English judge Mr Justice Arnold found that a tenant of a building in Folkestone (Kent) did not have the power to detach a Banksy piece from the wall of its leasehold property and must give it back to Creative Foundation, a local charity that promotes the arts and had acquired the rights to the mural from the landlord. This is obviously good news for the street art movement. It is also the first British case to expressly consider ownership of walls on which graffiti works are painted. The piece in question, “Art Buff”, had been painted by the Bristol-based street artist in September 2014 during the Folkestone Triennial, an art event organised by Creative Foundation. The piece obviously quickly became popular and attracted lots of visitors. Why did the tenant, the Dreamland company, remove Banksy’s artwork? The reason is quite simple. Money. The mural was indeed shipped to New York and then on to Miami to be sold at art auctions. It was little wonder that Creative Foundation was unhappy about this and sued Dreamland with a view to getting back the piece. The judge refused to accept the tenant’s argument that it had acquired property of the artwork as it was discharging its repairing obligation. He instead found that Banksy’s mural had become part of the land and thus is landlord’s property. In the recent past we have indeed witnessed several cases of highly valuable street artworks (not only Banksy’s ones) removed from the walls of several British cities, and sent to famous galleries around the world. One of these was the “No balls game” piece painted by Banksy in 2009 in Tottenham Green, and removed in 2013, just months after another artwork (“Slave Labour”) made by him in the same North London area was controversially removed from its chosen place and subsequently sold for a reported £750,000. After this court decision, it may be more difficult for people who remove street artworks from properties they do not own, to legally justify their behaviour. Another interesting point of the decision relates to the recognition of “Art Buff”’ value. The Judge has indeed noted that the fact that the piece has substantial value, both aesthetic and economic, is plainly a relevant consideration when it comes to deciding issues of ownership regarding the property upon which the artwork has been painted. In particular, Justice Arnold noted that where the value is attributable to the spontaneous actions of a third party, the landlord had the better right to that windfall than the tenant. The decision focused on who should be considered the owner of the surface upon which the mural was painted, and the issue of who is the owner of the copyright covering the artistic work was not at stake. There is indeed a difference between the ownership of the copyright on the artistic intangible work and the ownership of the tangible medium upon which the artwork is fixed (e.g., a painting). The two properties very often belong to two different subjects: the ownership of the physical embodiment may belong, for example, to the buyer of the painting or in the case of street art the owner of the wall, whereas the copyright protecting the intellectual creation belongs to the artist. And in the case of “Art Buff” – the Judge noted – there is no doubt the copyright belongs to Banksy. I think this is not a minor aspect of the decision. Justice Arnold has indeed stressed this point despite recognising that the artwork had been painted by the famous street artist without the prior knowledge nor the consent of the leaseholder and tenant (although Creative Foundation, that in the meantime had acquired the rights into the mural, has later impliedly approved the work). It thus seems that the judge was not bothered with whether the copyrightable graffiti had been painted legally or not: which is an encouraging signal as I believe even murals made without the authorisation of the property owner should deserve copyright protection. This aspect of the decision might therefore be invoked in the future by street artists who paint walls in Britain without the consent of the property owners to object to commercial exploitation of their pieces. Street artists in Britain seem therefore to be in a better position than their colleagues in the US. Artists who paint on American walls and other surfaces without the authorisation of the property owner indeed have difficulties in claiming copyright on their intellectual creations, which makes it hard for them to stop who commercially exploits their art. This is due to the so-called “unclean hands” doctrine, which seems to be accepted by US judges: it basically means that people, like street artists and graffiti writers who paint illegally, should never be able to profit from their illegal conduct by relying on copyright. But such a doctrine, luckily, has not been affirmed by British judges in relation to unauthorised street art.